Together with Paul Hindemith and Heinrich Burkard, the composer Joseph (1879–1960) Haas co-founded the Donaueschingen Festival in 1920. Although he himself was not part of the avantgarde movement, this fact alone already shows that he was immune to sentimentality and superficial sentiments. His Christmas Liederspiel called “Christnacht” (“Christmas Eve”), in which he combines Bavarian and Tyrol folk tunes into an oratorio, also is an example of this. The same applies to the “Marian hymns” based primarily on texts from the 13th to the 18th centuries. 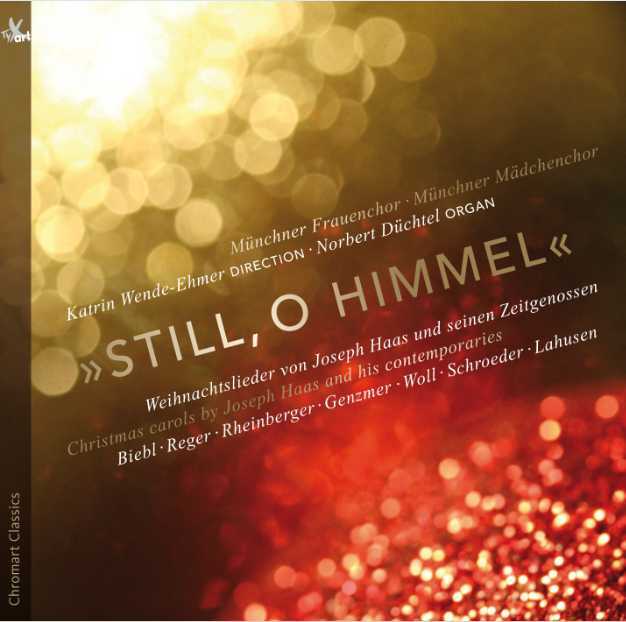 The composers of the other Christmas carols on this CD album are either students - Biebl and Woll - or contemporaries - Rheinberger, Haas’ teacher Reger, Genzmer (student of Hindemith), Lahusen and Schroeder. The songs from the Christmas Liederspiel “Christnacht” (“Christmas Eve”) were adapted for women’s chorus and organ by Norbert Düchtel. The Münchner Frauenchor (Munich Women’s Choir) and the Münchner Mädchenchor (Munich Girls’ Choir) under the direction of Katrin Wende-Ehmer and accompanied on the organ by Norbert Düchtel have recorded a CD that contrasts pleasantly with the customary potpourris and adequately realizes the always high-class and in part moderately modern arrangements of the Christmas theme by the various composers. A Christmas CD that sets high standards. Free Audio Samples ... of this CD album!